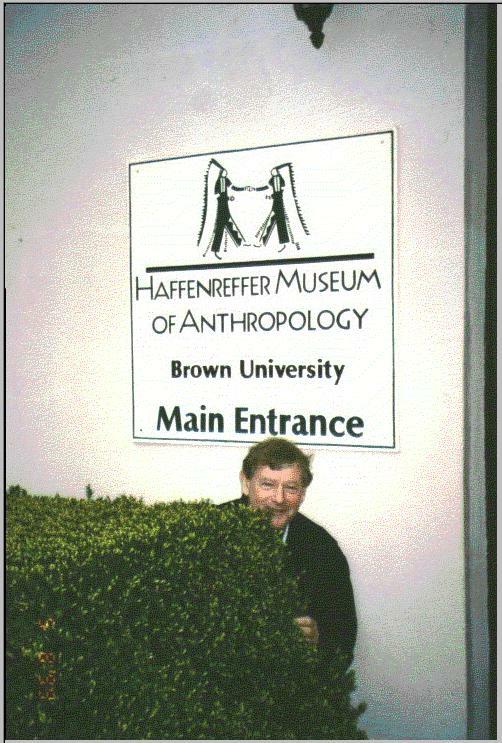 Rick anxiously awaits entrance to the grounds of the museum. 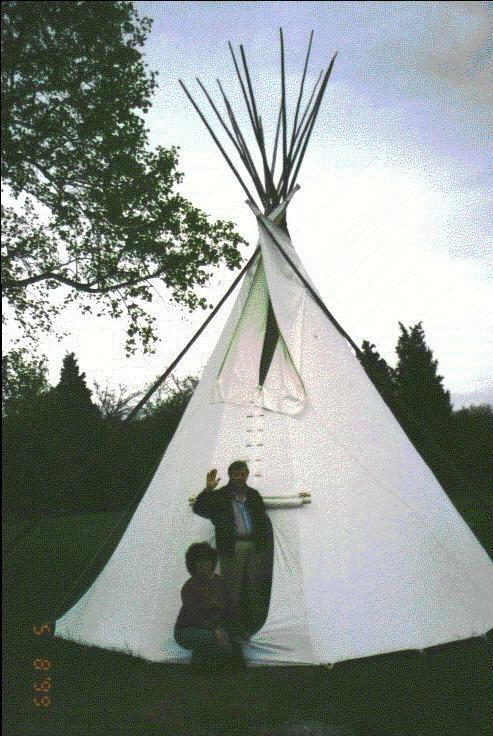 Rick and Irene pow-wow at a teepee on the grounds of the museum. 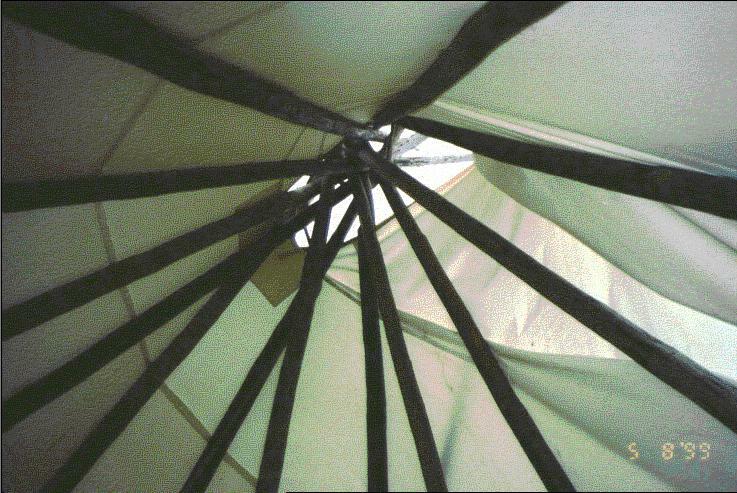 A view looking up toward the sky from within the teepee. 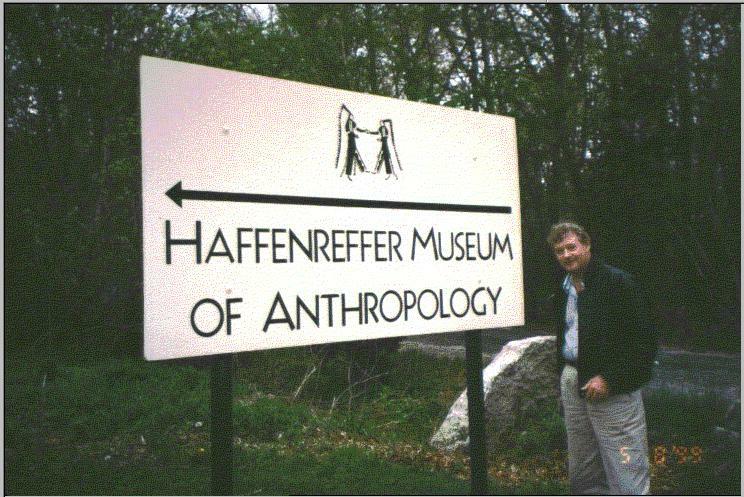 Rick eagerly awaits entrance to the museum exhibition rooms. 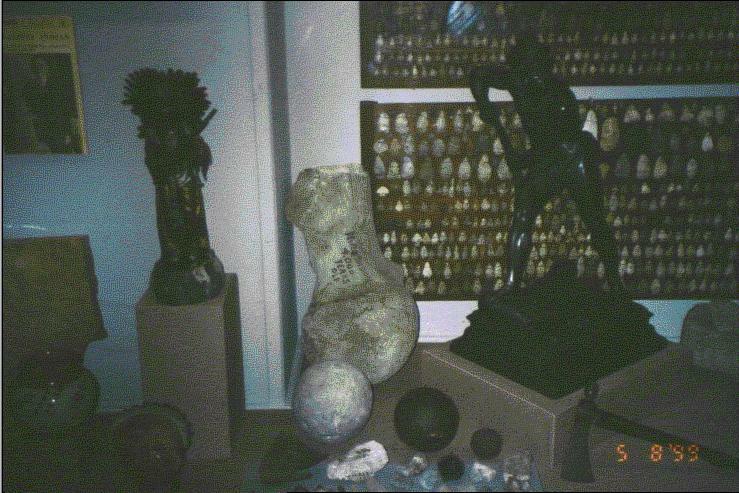 Several sculptures on Mr. Haffenreffer's desk within the confines of the museum. 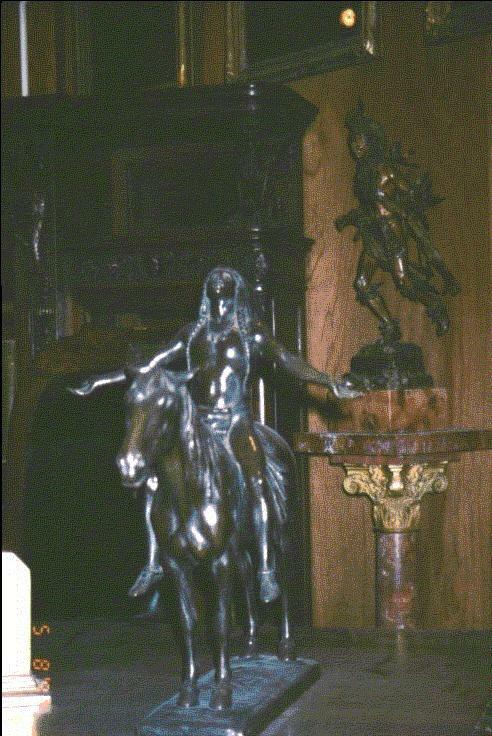 More sculptures behind glass enclosures opposite Mr. H's desk. 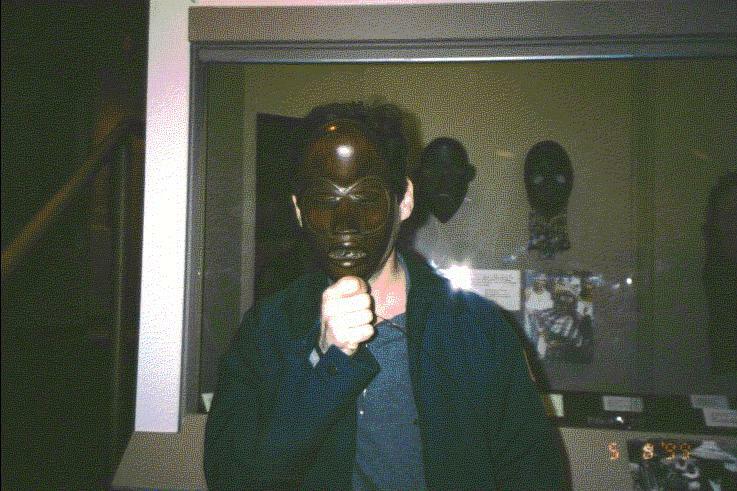 "S" tries on an African mask for size, hoping to turn into Jim Carrey.